An adventure in Boulder Junction! Individuals, ages 15-70+: Medals will be awarded to the top male and female in each of the following age categories in both classic and skate ski divisions: 15-19; 20-29; 30-39; 40-49; 50-59, 60-69, 70+. Award plaques to the top male finisher and top female finisher overall, in each ski division. No refunds will be given for any reason including race cancellation. Proof of registration will be emailed. Signed waivers are required and separate registrations for every participant. If you are registering as a 3-Person Relay Team, the captain will register and pay for the entire fee; however, each participant of the relay must sign a separate waiver at check-in on Friday evening or Saturday morning when they pick up their packet. Call to reserve them early, as supplies are limited. Hotels also fill up fast so make your reservations early. A two-night minimum may be required. Online Registration: This link will take you directly to the online registration which opens November 1, 2019 and closes February 13, 2020. Walk-in registrations will be allowed at Packet Pick-up on, Friday, February 14, 2020 from 1pm to 4pm and the morning of the race, Saturday, February 15, 2020, between 7:30am and 9:00am. Early Bird – November 1 thru November 30: $65 individual or $155 3-person relay team. Standard Rate – December 1 thru February 14: $75 individual or $170 3-person relay team. Walk-In Registrations – February 15 & February 16: $85 individual or $180 3-person relay team. NO REFUNDS OR TRANSFERS FOR ANY REASON, INCLUDING RACE CANCELLATION OR DISQUALIFICATION. WAIVER – READ CAREFULLY BEFORE SIGNING: All participants will be required to read and sign the following waiver at time of registration: In consideration of the acceptance of my application for the entry in the Forest Frenzy Winter Triathlon, I hereby waive, release, and discharge any and all rights or claims for damages for death, person injury, property damage or any other actions, which I (my heirs, executors and administrators) may have, which may hereafter accrue to me, as a result of my participation in said event. This release is intended to discharge in advance the promoters, the sponsors, the land owners and Wisconsin Department of Natural Resources, the Volunteers, and triathlons; Camp Manito-wish YMCA or other business entities involved in hosting any part of the triathlon and any involved municipalities (Boulder Junction Chamber of Commerce, the Town of Boulder Junction, or any of their officers, members, sponsors, agents, or representatives), or other public entities (and their respective agents and employees), from and against any and all liability arising out of or connected in any way with my participation in said event, even though that liability may arise out of negligence or carelessness on the part of the person(s) or entities mentioned above or arising out of traveling to, participating in or returning from the Forest Frenzy Winter Triathlon. I further understand that serious accidents occasionally occur during triathlon events and that as a consequence thereof; knowing the risks of triathlon events, nevertheless I hereby agree to assume those risks, and to release and to hold harmless all of the persons or entities mentioned above who (through negligence or carelessness) might otherwise be liable to me (or my heirs or assigns) for damages. It is further understood and agreed that this waiver, release and assumption of risk is to be binding on my heirs and assigns. I have also read and understand the rules and regulations set forth by the Forest Frenzy Winter Triathlon and understand failure to follow the rules/regulations will result in disqualification. I consider myself adequately trained for this event. I further agree that I have read and will comply with the online rules, course descriptions and other criteria of this event. 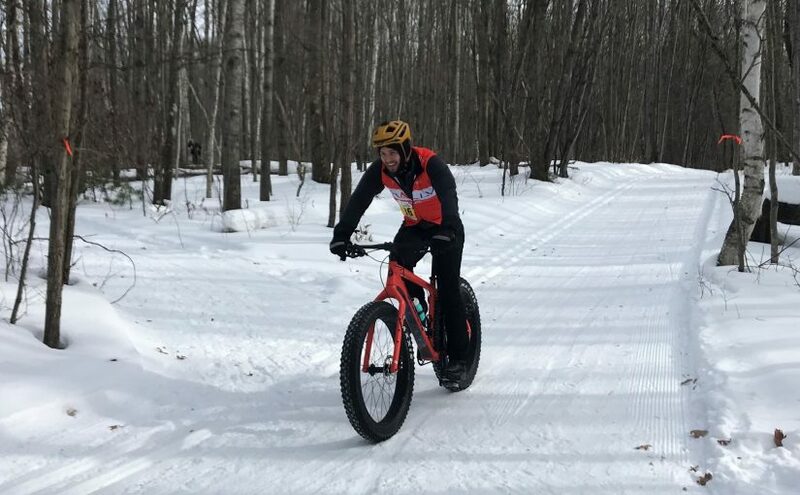 If I am on a Relay Team, as captain, I am assuring the Forest Frenzy Winter Triathlon that the team has read and understands the rules, course descriptions and other criteria of this event. As the relay team captain, I will notify my team that they are to sign the waiver at packet pick-up/check-in on Friday evening/Saturday morning. In the event of an emergency, I hereby consent to receive medical treatment, which may be deemed advisable in the event of injury, accident and/or illness during the event. This AWRL shall be construed broadly to provide release and waiver to the maximum extent permissible under the applicable law. I agree that the Boulder Junction Chamber is authorized to contact me via email for Boulder Junction Chamber events or triathlon related events. I grant permission to the event organizers of the Boulder Junction Forest Frenzy Winter Triathlon to use my name, image, and photographs, videos, or any other record of my participation in the event for race commercial purposes including but not limited to newspaper, website, brochures, fliers, radio, social media and television. By registering for this event, I hereby certify that I have read this document and I understand its content.